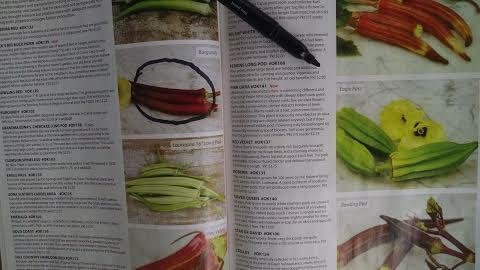 Perusing seed catalogs can lead to bouts of daydreaming of warm days in next year's garden. The savvy gardener uses downtime in winter to plan next year's garden including seed purchases. 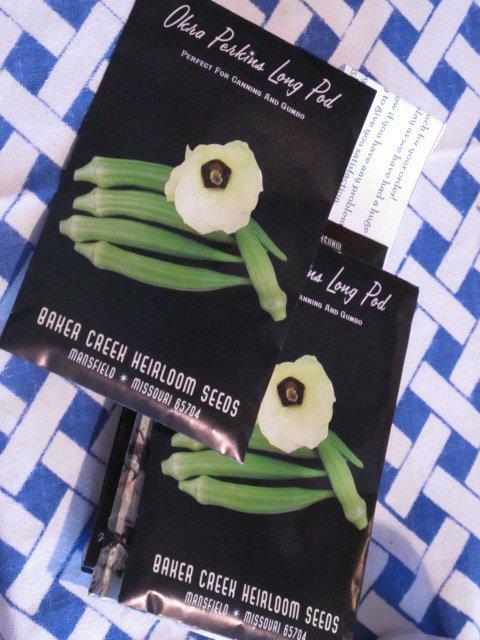 Make a plan now to order seeds. By planting your seeds at the right time you'll get the most vegetables next year. 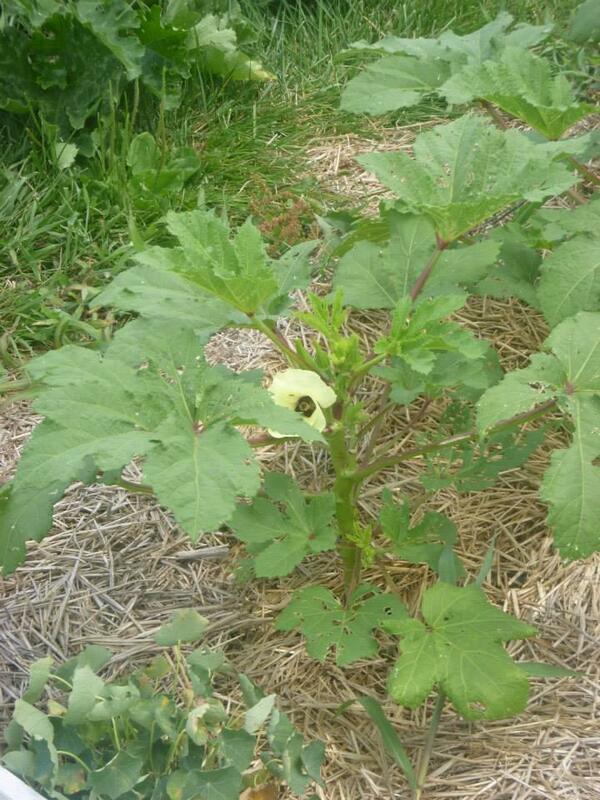 Okra plant seen here. Drawing a map can help you plan out next spring's garden beds. Consider the angle of the sun and when plants grow best when plotting out your garden as Carrie Hargrove did here with one bed. Carrie Hargrove knows her way around the garden. She is the Farm Manager for the Columbia Center for Urban Agriculture's Urban Farm and the host of KBIA's occasional segment Farm Your Yard. Second, Hargrove says to consider how big each plant will get and how many plants you can fit in your available space. By planning for your small seeds to become huge plants, you can make the best use of your space in the garden, says Hargrove. She adds that too much space in between plants leads to needless weeding, while plants grown too close together can result in parts of the garden not getting enough needed sunlight and thus none of the desired fruit or vegetables. Third, think about when the plants you want to grow thrive. Lettuce doesn't do well in July and cucumbers can't handle the cold soil of March so think about the seasonality of what you want to grow notes Hargrove. She often looks to MU Extension's planting calendar for the average bets growing times for peppers, okra, kale and more. 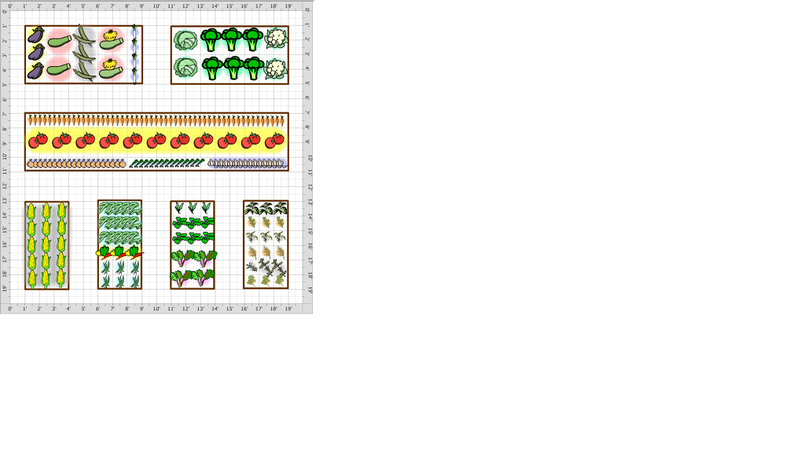 The fourth and final step in planning next year's garden involves plant placement. Harrgove encourages gardeners to sketch out a map or use design software to visually imagine where plants will fit into the overall scheme. By following these four easy steps now, Hargrove is confident that your 2015 garden will get off to a good start. Farm Your Yard is an occasional segment on KBIA's Thinking Out Loud. Get bushel buckets more information about gardening at the Columbia Center for Urban Agriculture website. 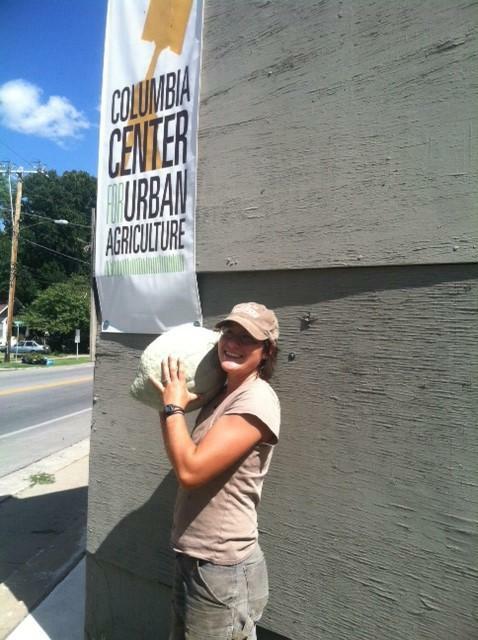 Mizzou student Alex Talleur volunteers at the Community Garden at Kilgore’s Medical Pharmacy in Columbia. As Talleur pulled green, prickly cucumbers from the yellowing vines, he said he’s envious of the kids who will be munching on the fresh produce in a few days. "When I think of schools or anything like that, I always think of the greasy cafeteria food," Talleur said. 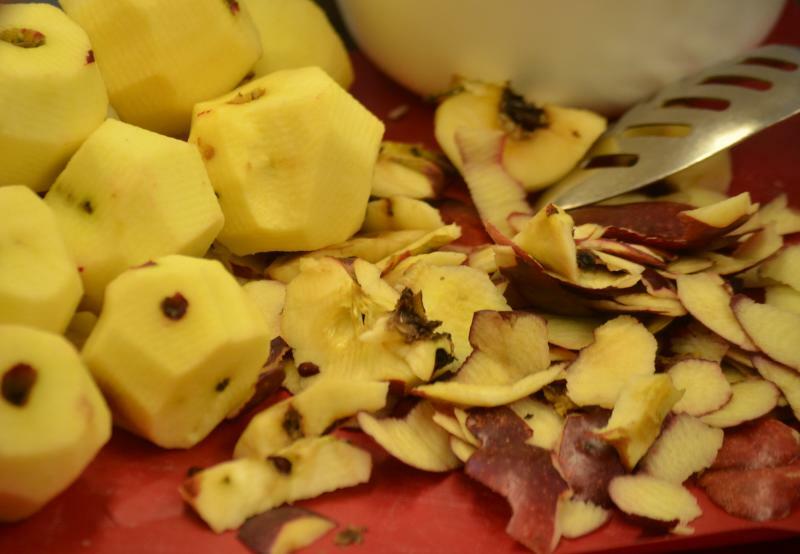 "Having an opportunity to have really healthy, homegrown food is really great." On this installment of KBIA's gardening segment, Farm Your Yard, Carrie Hargrove tells us what to do now that will help you be the most successful with your Spring plantings. 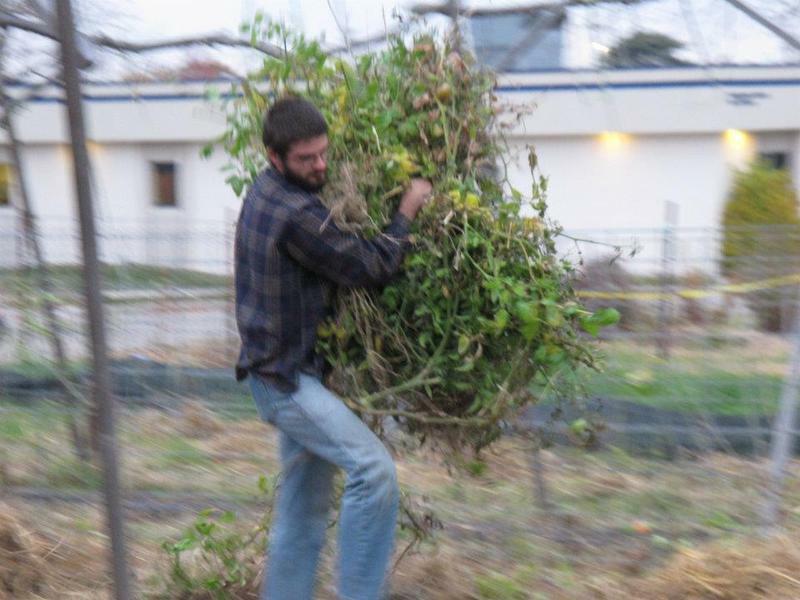 On Farm Your Yard, Carrie Hargrove reminds us about fall gardening chores. Removing dead plant material, adding new organic material and covering your beds now improves your chances for success with tomatoes, corn and more in 2015. Leemer Cernohlavek stood in the front of a classroom, scrolling through pictures of his apple orchard on the teacher’s smart board. He was describing his work to second and third graders, who sat quietly listening on a rainbow-colored square rug.